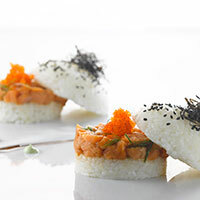 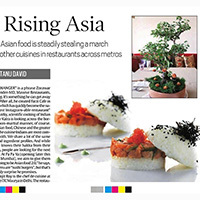 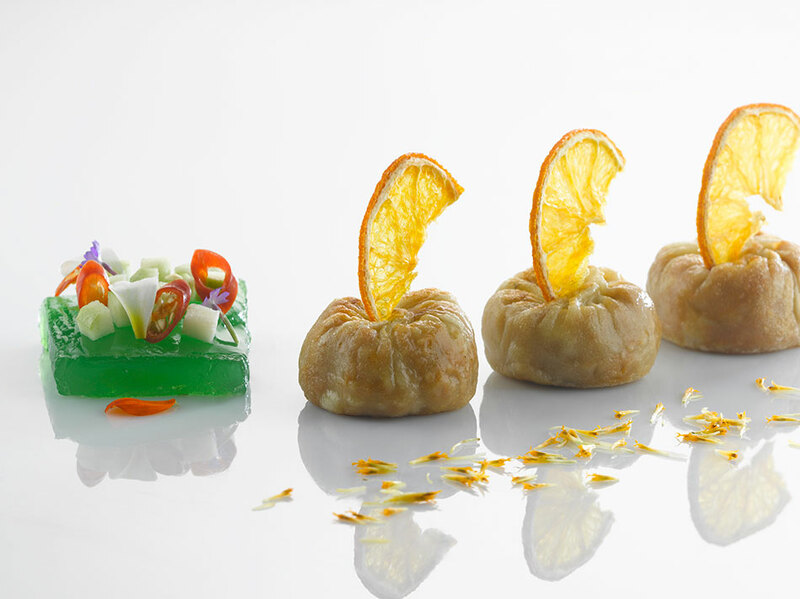 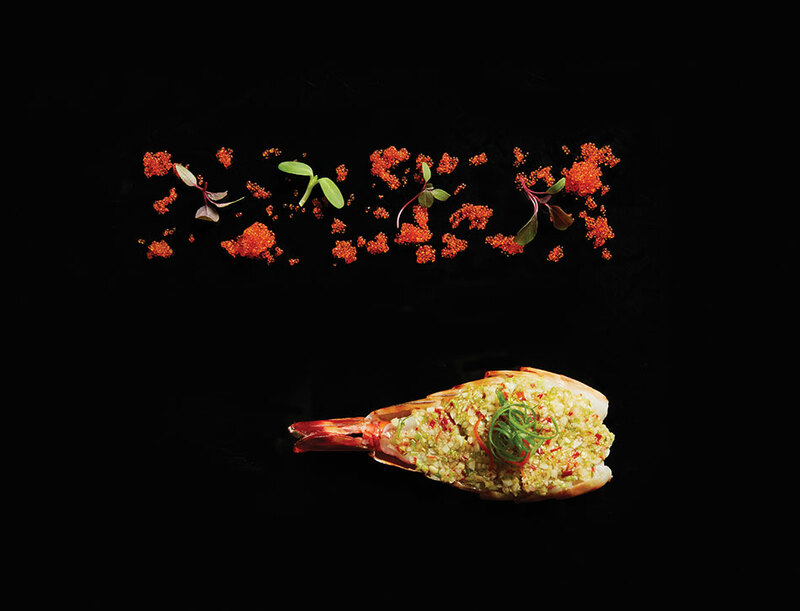 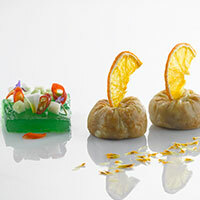 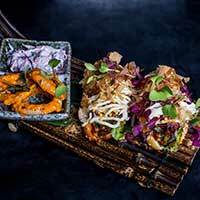 It is a complete reinvention of Asian cuisine on a global scale. 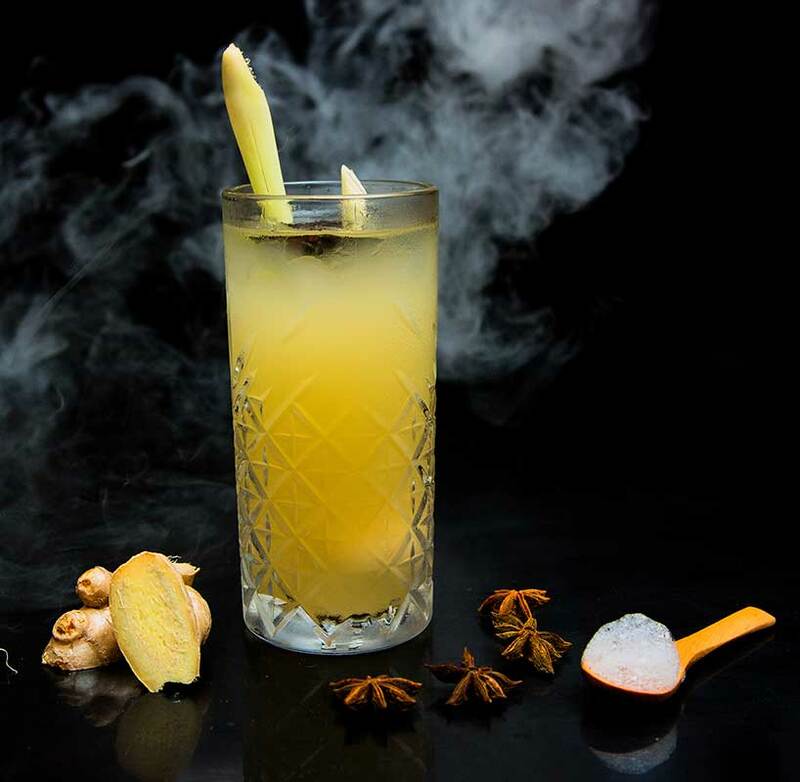 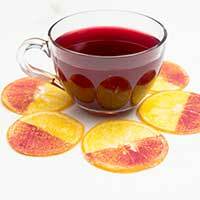 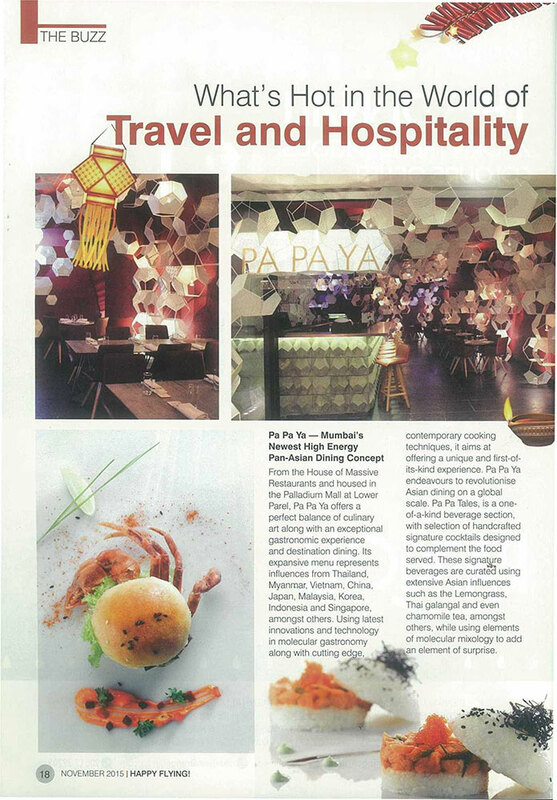 Leave your preconceived notions and perceptions out of the door, while enjoying a sensory experience at Pa Pa Ya. 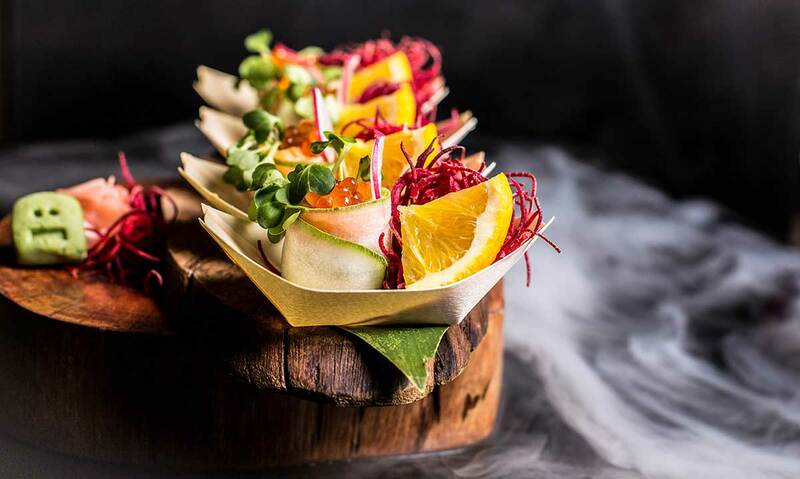 Here, eating is an experience unlike any, where we take you on a culinary journey through the landscape of Asia in a manner which has never been done before. 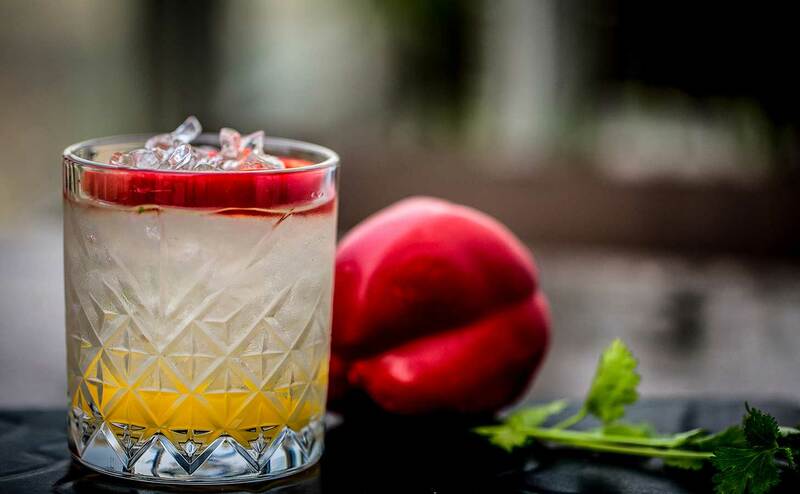 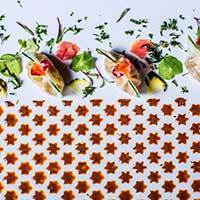 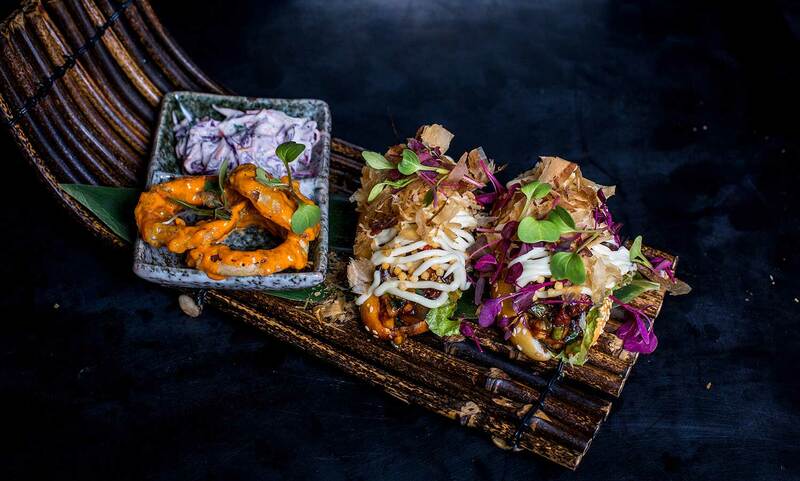 Pa Pa Ya is a modern Asian bistro & tapas bar from the House of Massive Restaurants and best described as a chic, modern and radical reinterpretation of Asian cuisine. 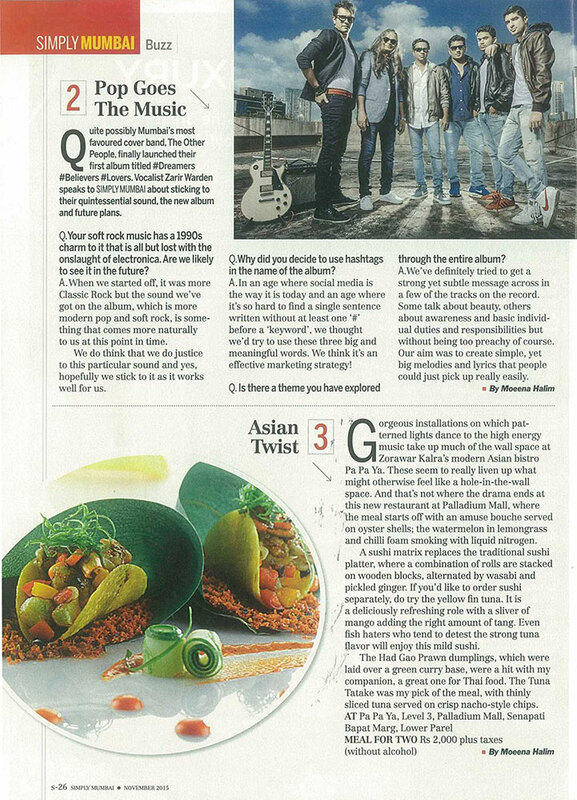 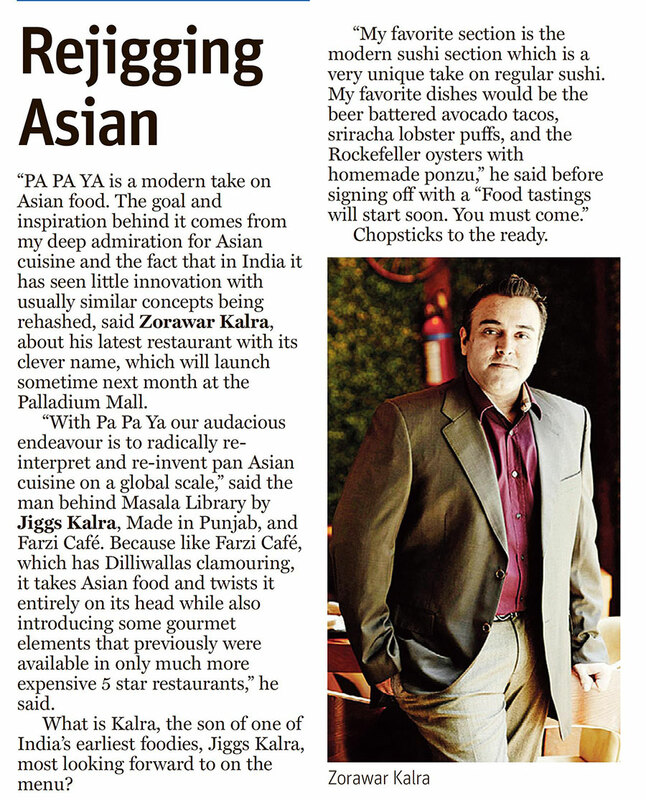 Revolutionarising the pan-Asian dining experience, Pa Pa Ya is an assimilation of various cooking techniques and cultures found across the Asian continent. 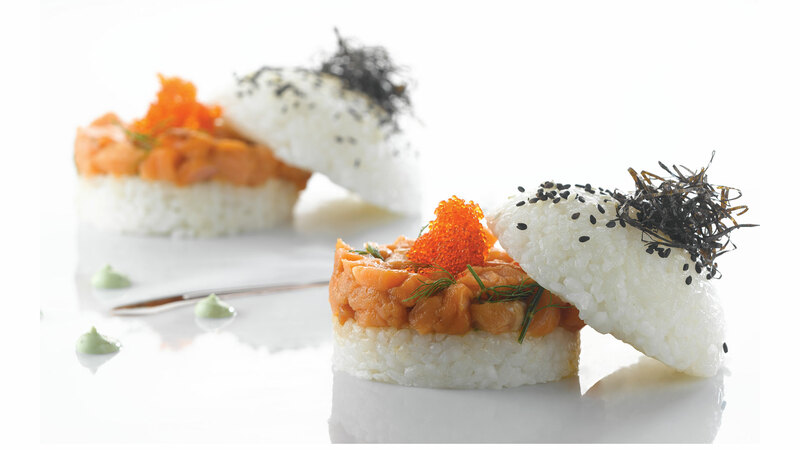 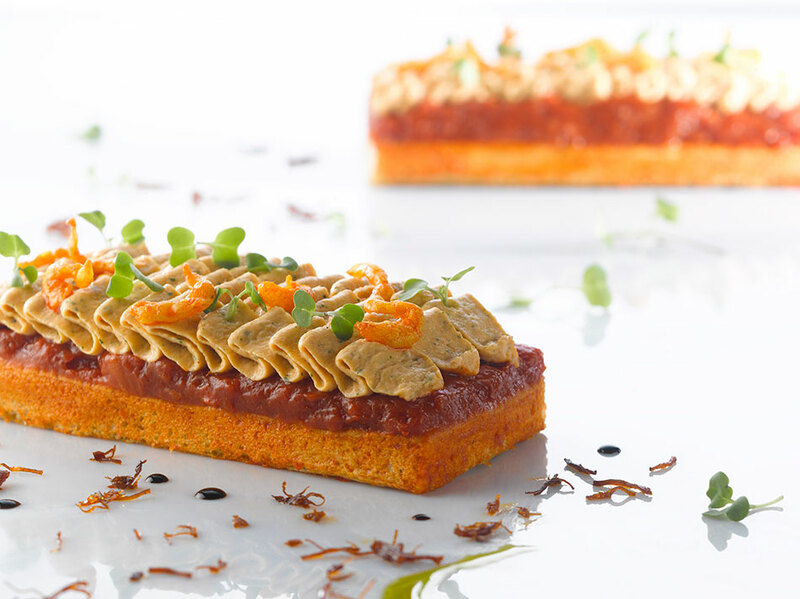 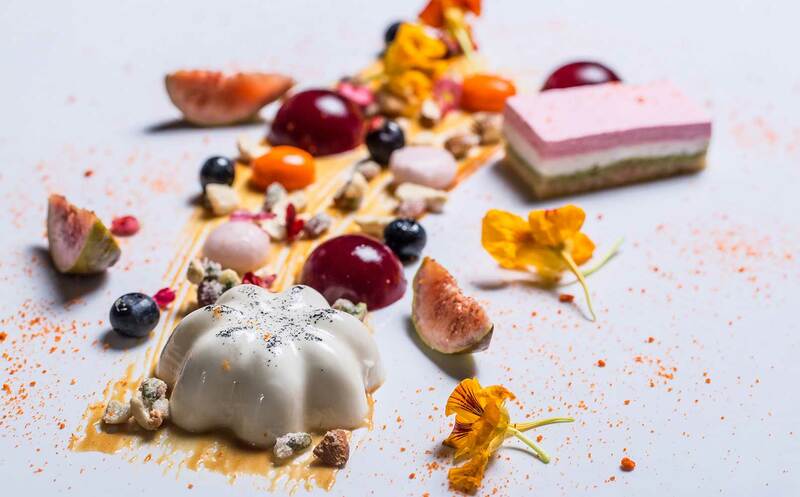 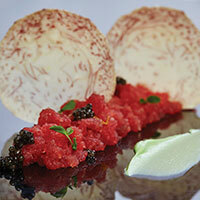 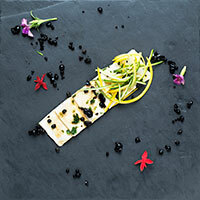 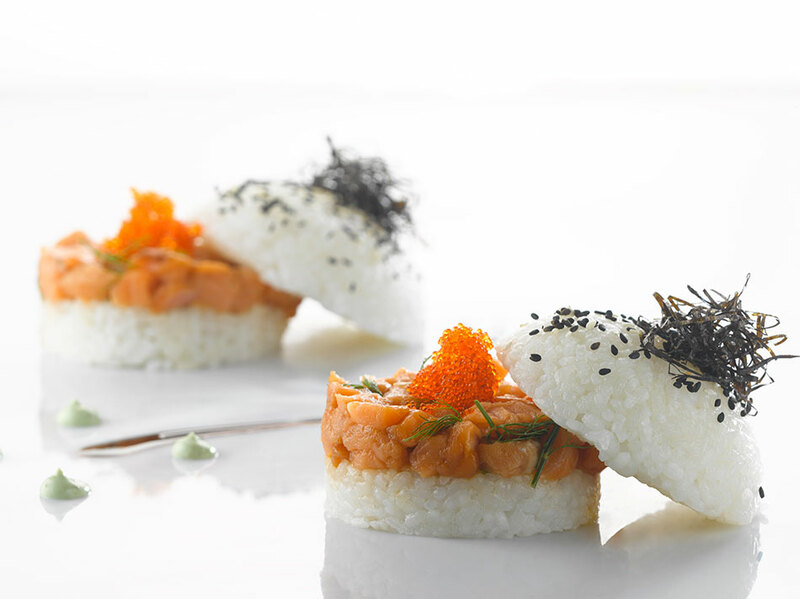 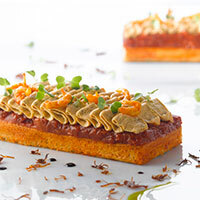 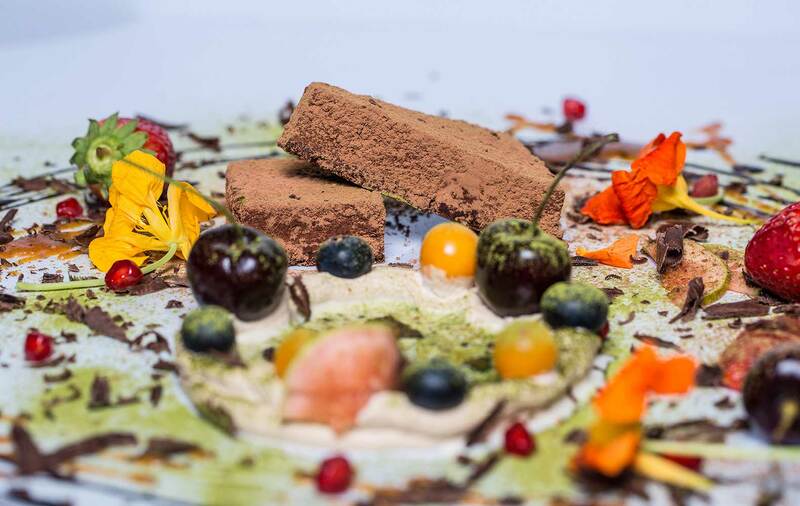 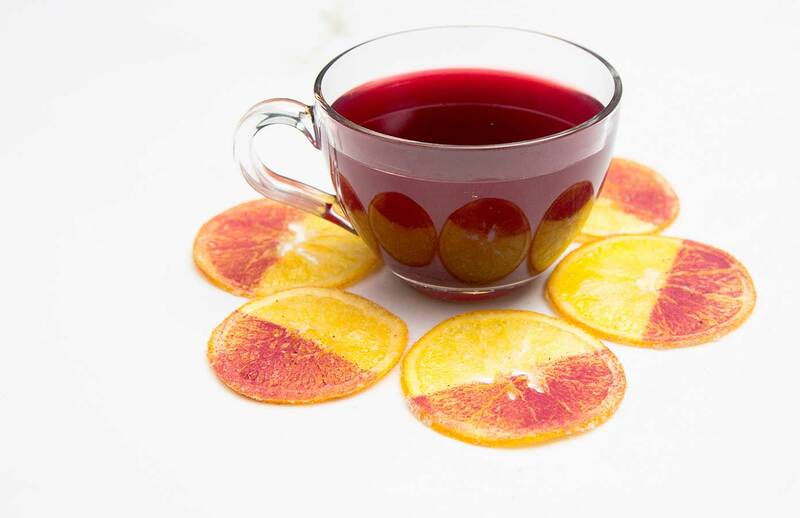 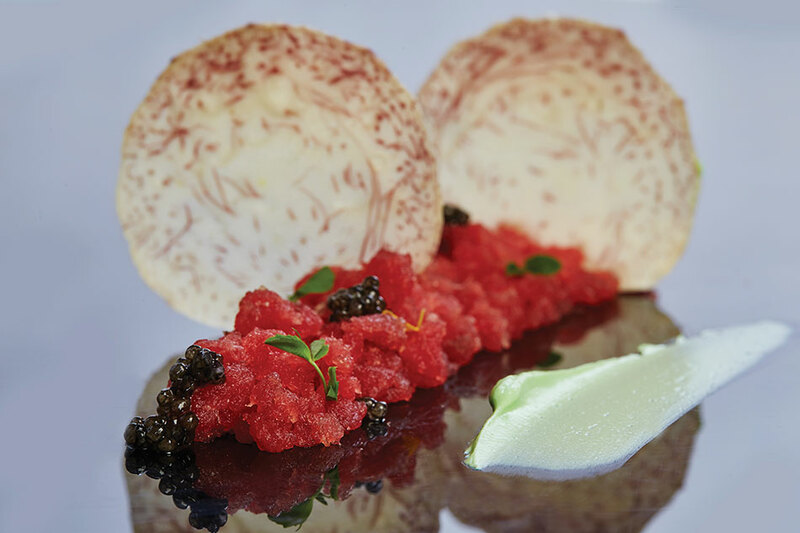 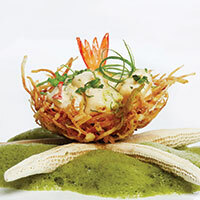 It is as much about culinary art as it is about offering an exceptional gastronomic experience. 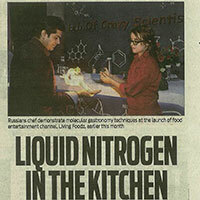 It showcases super innovative presentations, the likes of which have never been seen before, integrated with cutting edge contemporary cooking techniques, including the use of the latest innovations & technology used in molecular gastronomy, with Massive Restaurants being credited for its introduction and popularisation in India through the critically acclaimed brands like Masala Library by Jiggs Kalra and Farzi Café. 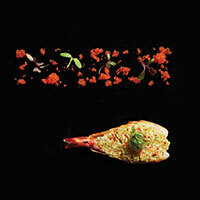 The menu devised is completely original, developed over several months of research, with painstaking attention to detail, creating unique flavour profiles for each dish served. 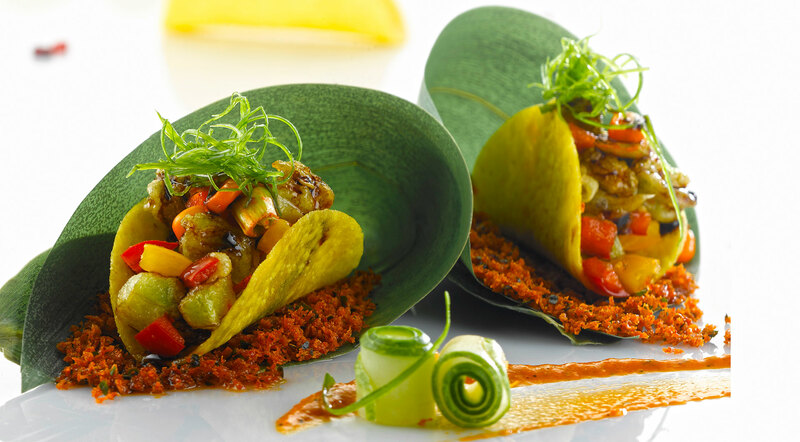 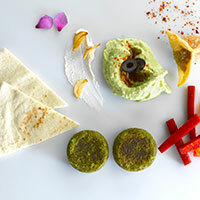 The Tapas style food presents a unique ability for the diners to enjoy a vast range of dishes in the right portion size, creating a true sensory dining experience. 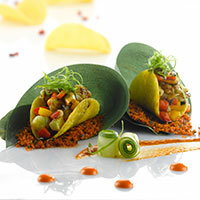 Using organic and fresh produce along with the finest ingredients sourced from the region of origin throughout Asia, in their most authentic form, in some cases even rare in variety and for them to reach in their freshest variety, ensuring that freshness of each ingredient used across the expansive menu is maintained at all times. 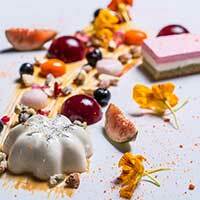 The dessert section has been recreated, presenting some of the most iconic desserts from the Continent, having been completely twisted on their head and presented in a very fun, innovative and engaging way, making it an exciting experience for those with a sweet tooth and even those who are adventurous & love to tread into the unknown. Pa Pa Ya endeavours to offer a holistic dining experience and thus showcases a range of cocktails in its signature beverage section, which have been given the same tender, love and care as the cuisine, applying extensive use of molecular mixology with absolute cutting edge innovation never been seen before. 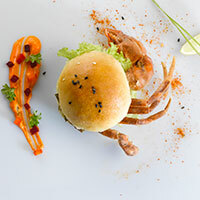 The dishes on offer showcase some classics and all-time favourites, retaining their original essence, enhanced using elements of modern cooking techniques like elements of molecular gastronomy and presentation to add an element of surprise to the dining experience. 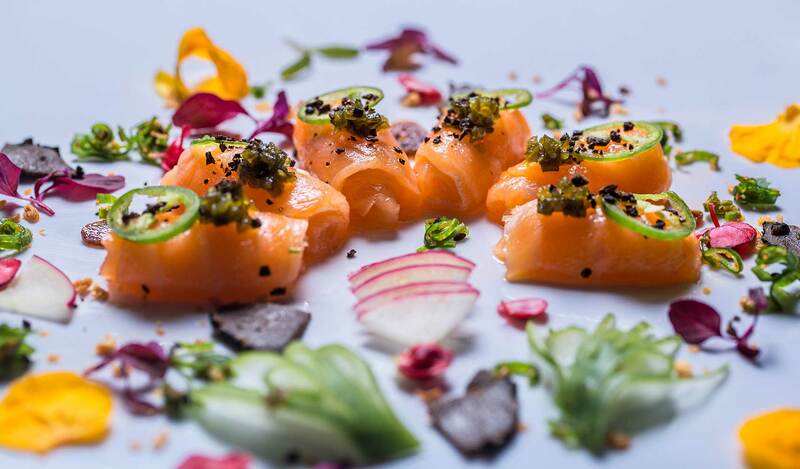 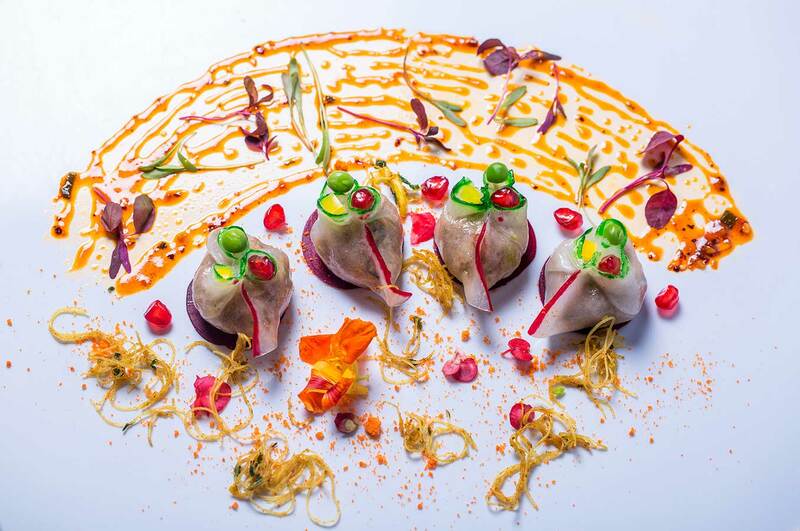 Focusing on a modern sensory culinary experience with the cuisine served, ambiance and restrained elegance, Pa Pa Ya offers a befitting tribute to the refinement and extensive cultural legacy of the Asian Continent. 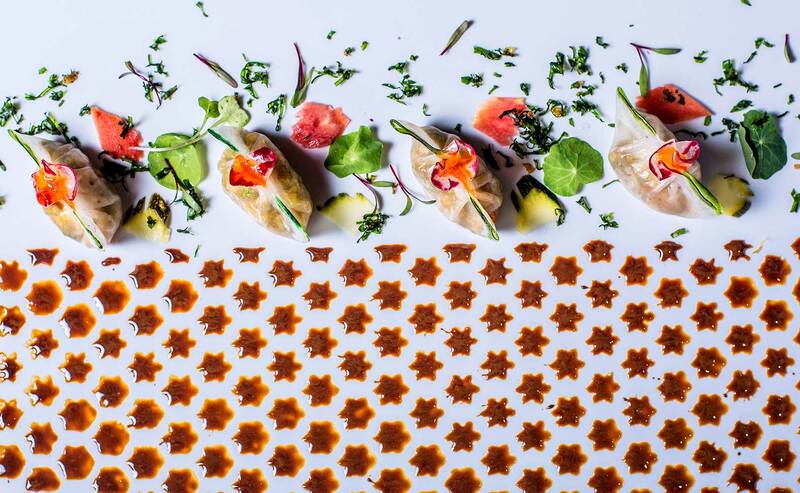 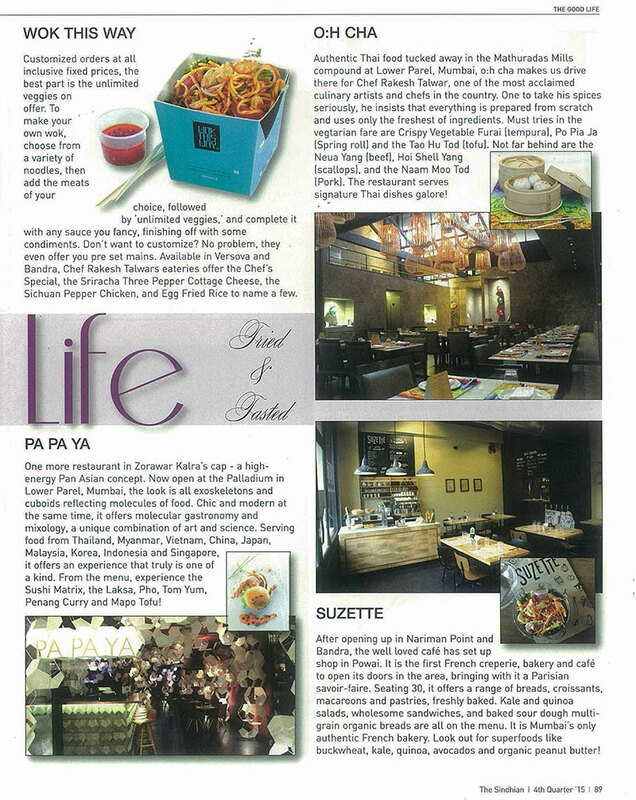 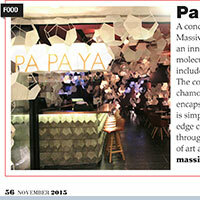 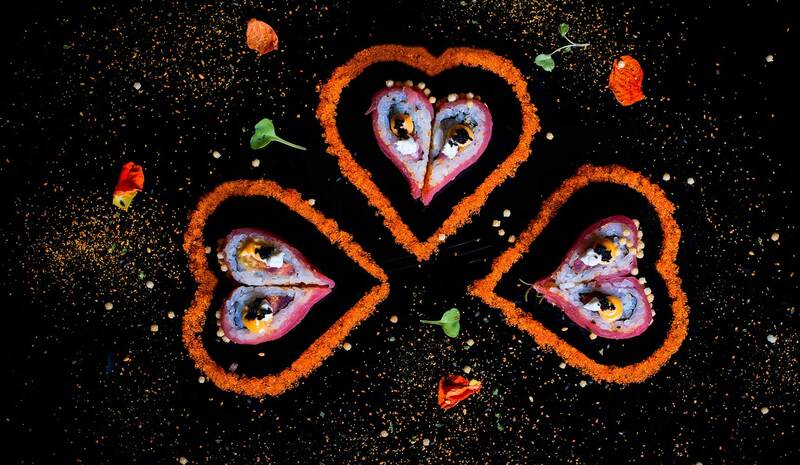 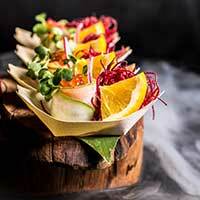 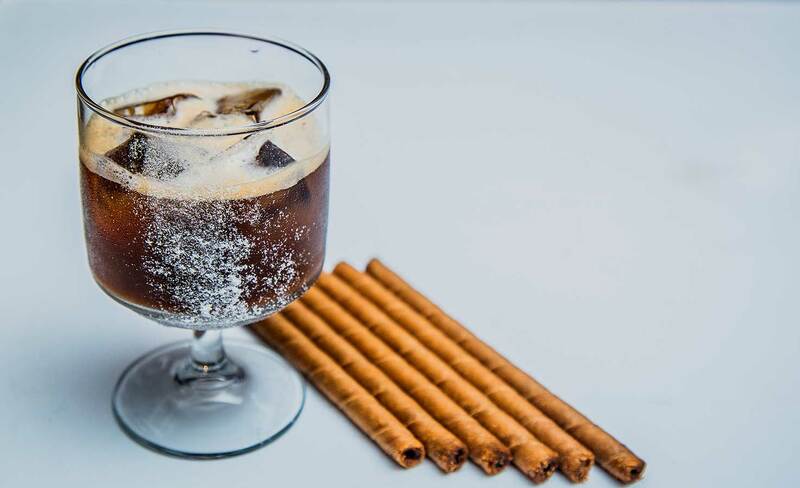 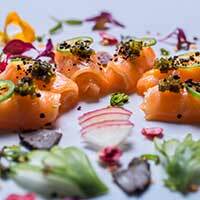 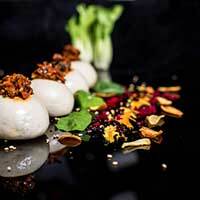 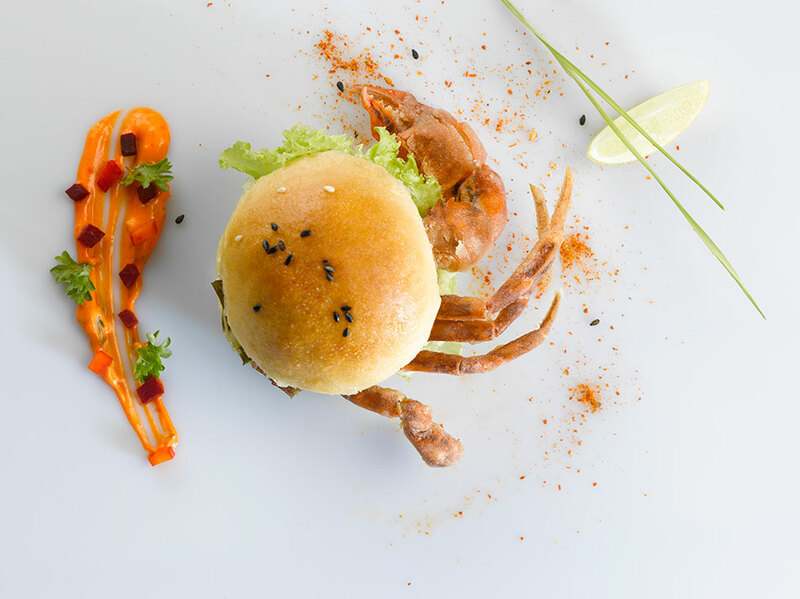 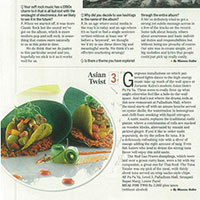 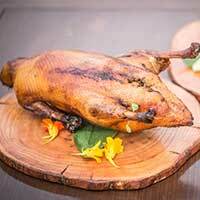 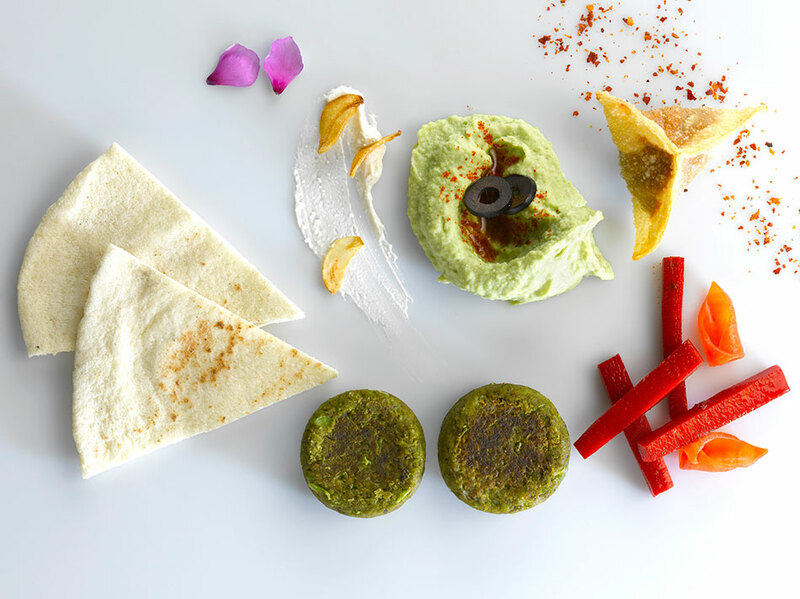 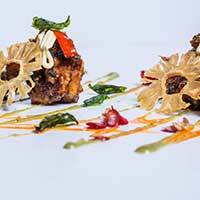 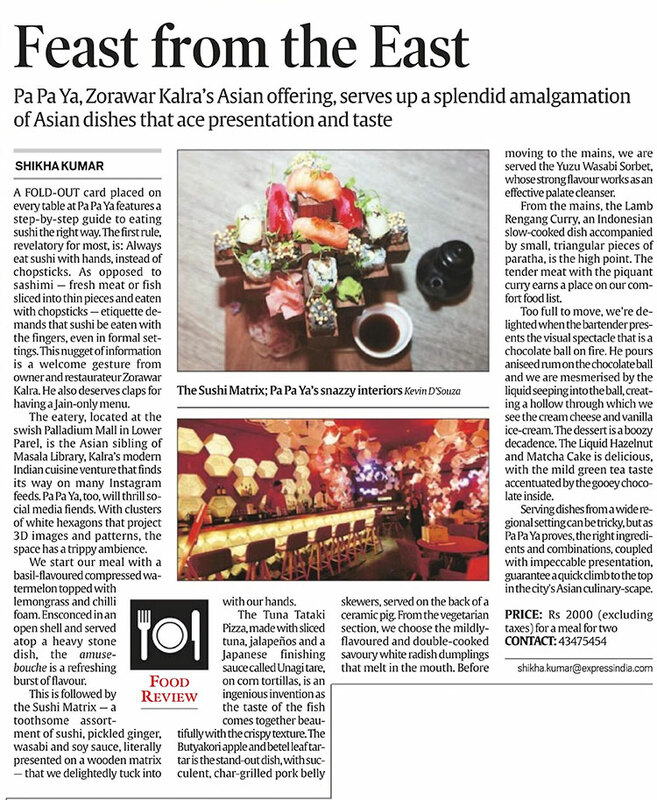 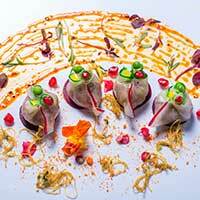 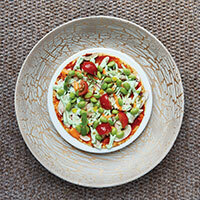 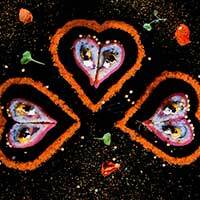 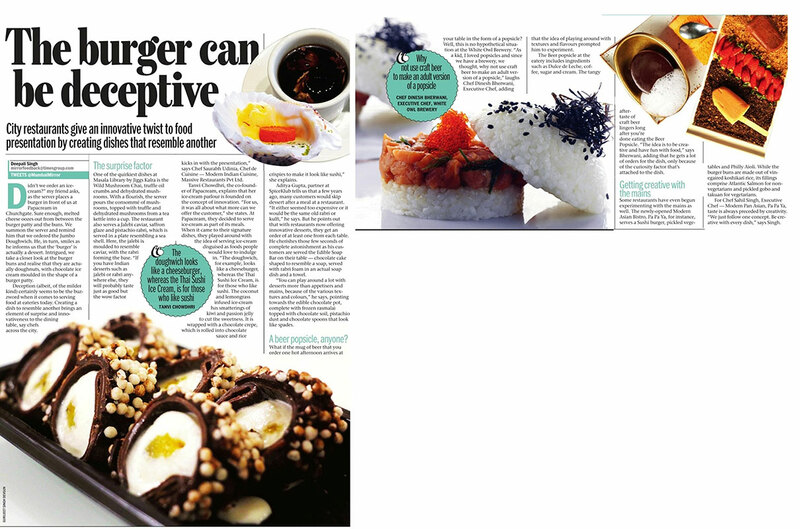 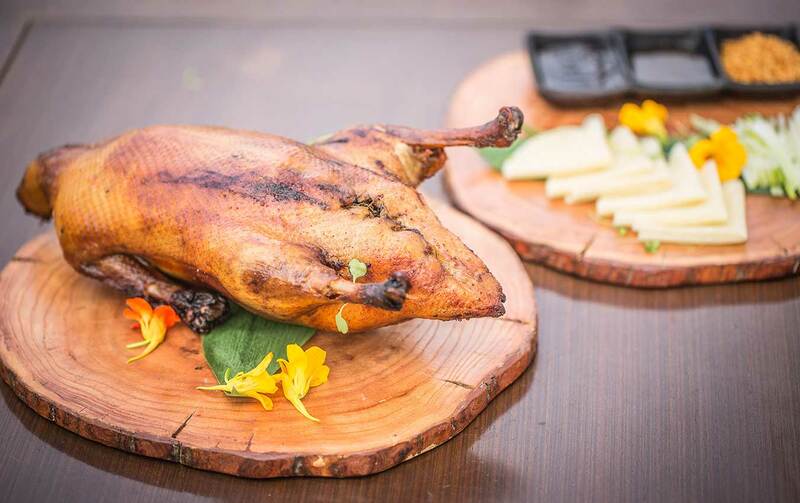 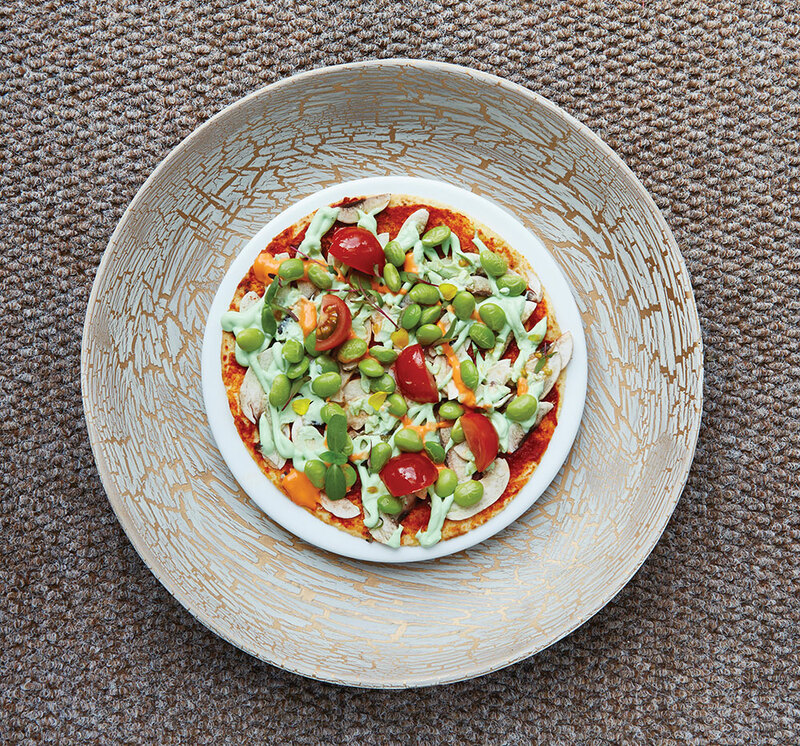 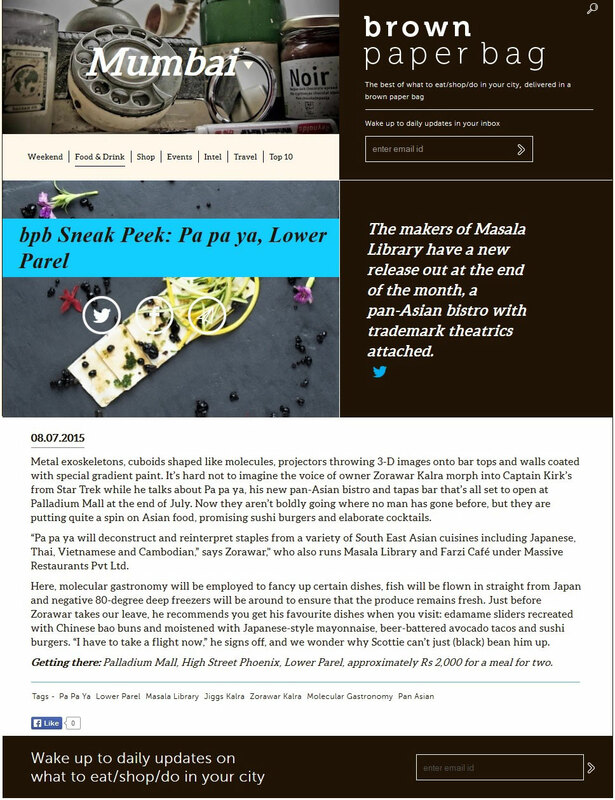 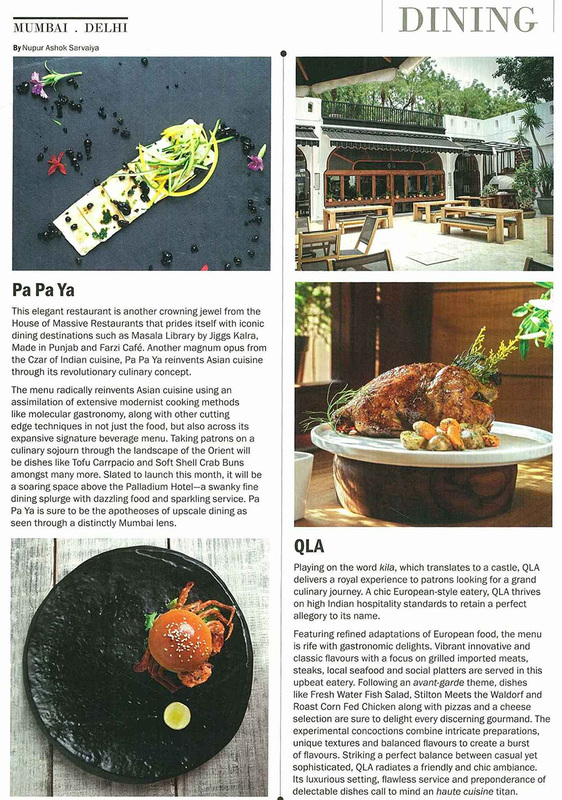 Pa Pa Ya is not just redefining Asian cuisine, it’s Asian Cuisine – Revolutionised. 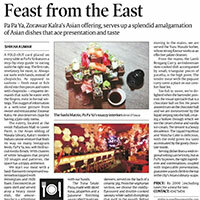 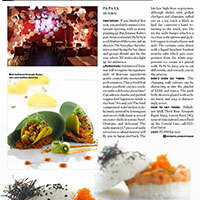 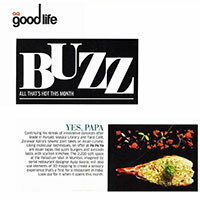 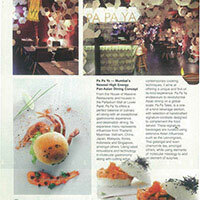 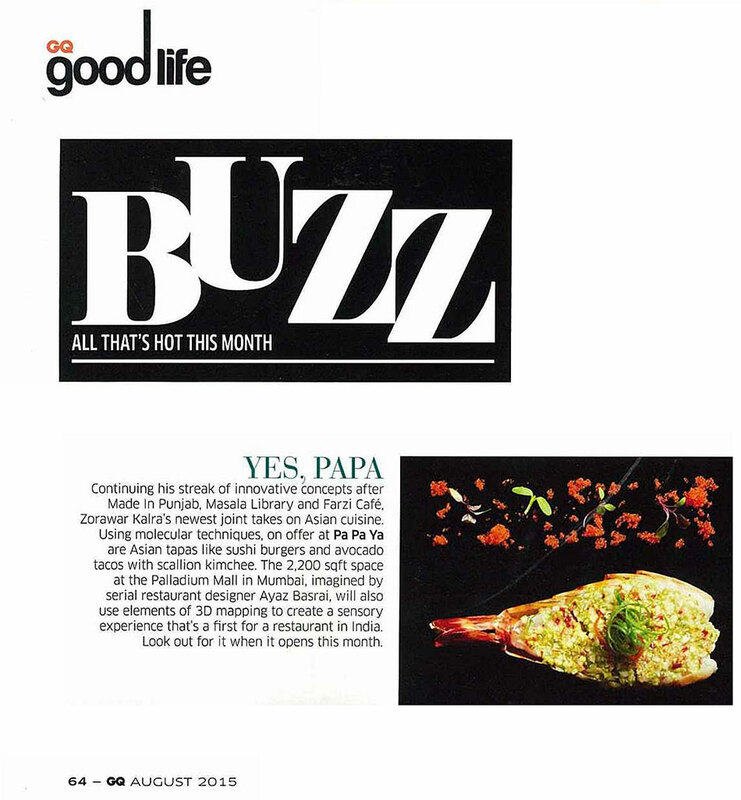 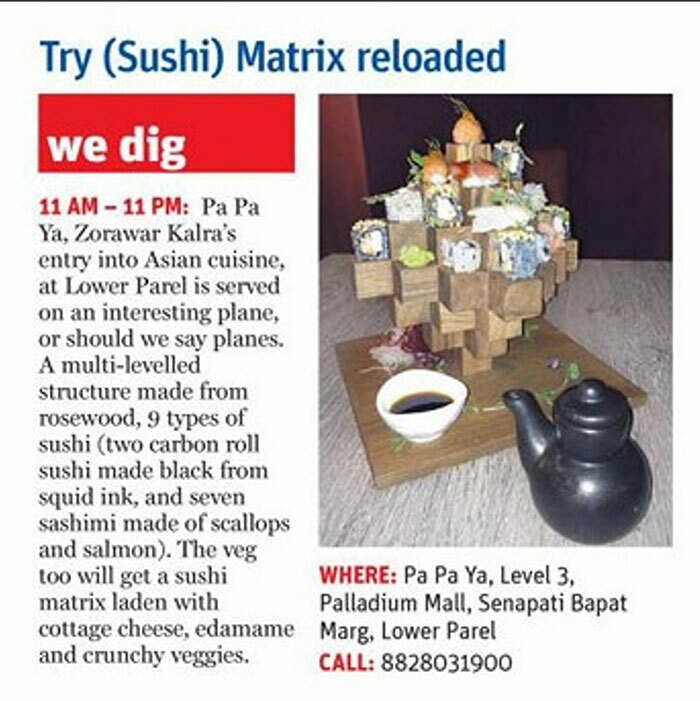 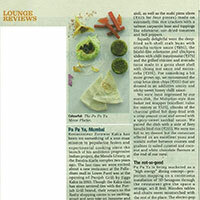 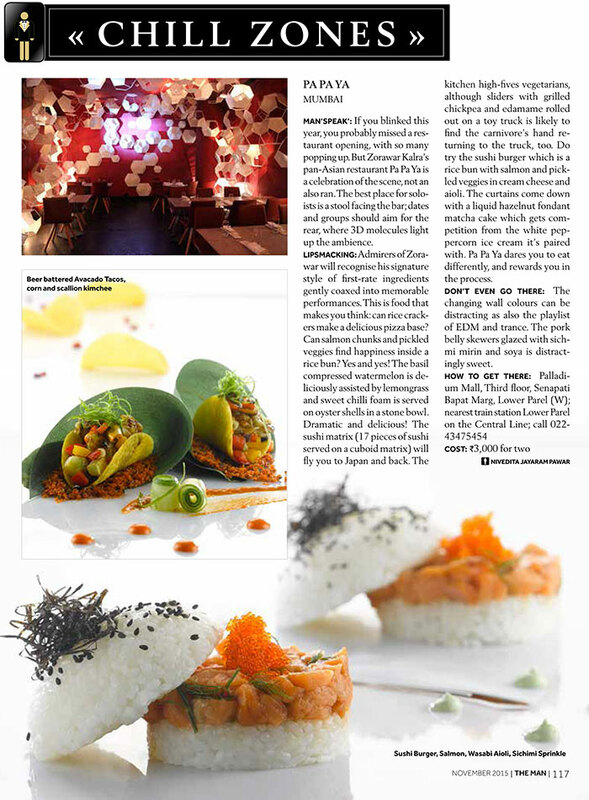 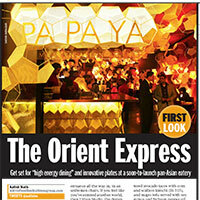 Best described as a gastronome experience, Pa Pa Ya endeavours to reinvent Asian cuisine in its entirety. 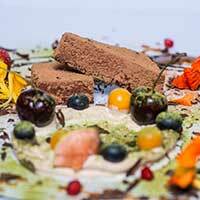 The idea is to translate centuries of history, contemporising and reinventing flavours synonymous with the varied cuisines from the Continent, using latest culinary techniques such as molecular gastronomy, finest & freshest ingredients sourced from the region of origin, with modern presentations for diners to absorb a life altering culinary exploration through an avant-garde dining experience. 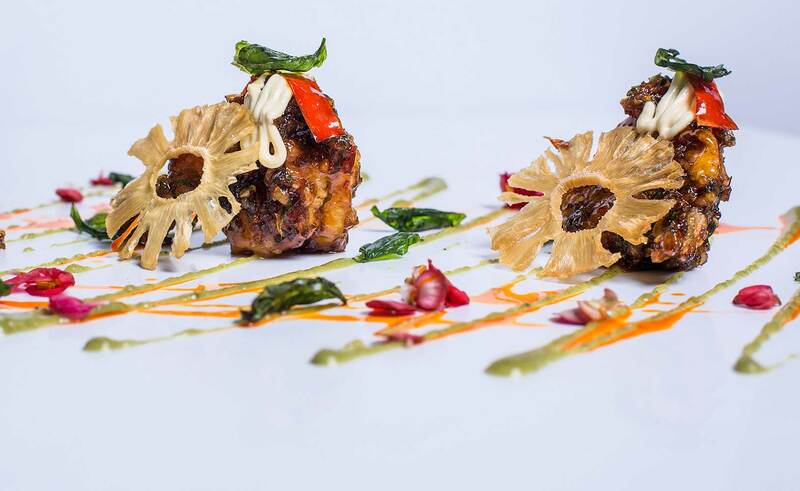 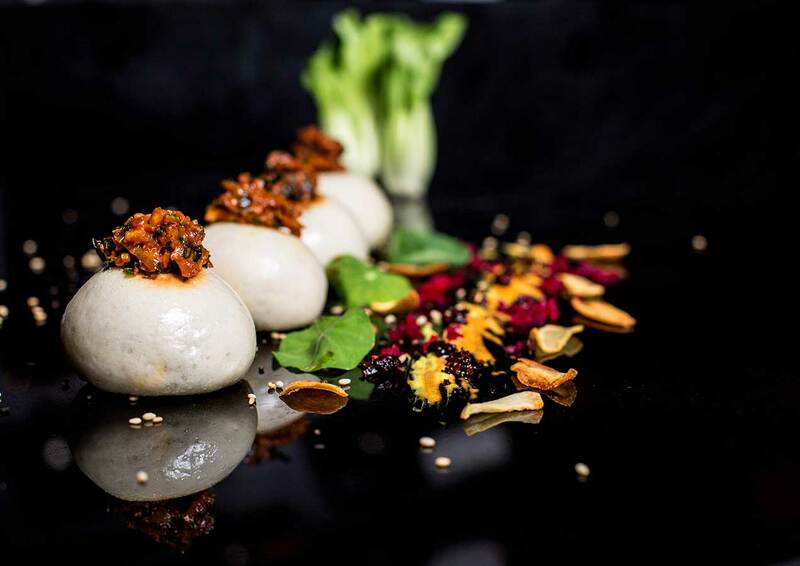 Infusing generous dose of natural flavours, Pa Pa Ya offers guests to experience the finest of modern Asian food showcasing some iconic dishes from around the Orient, crafted in a way that's never been seen before. 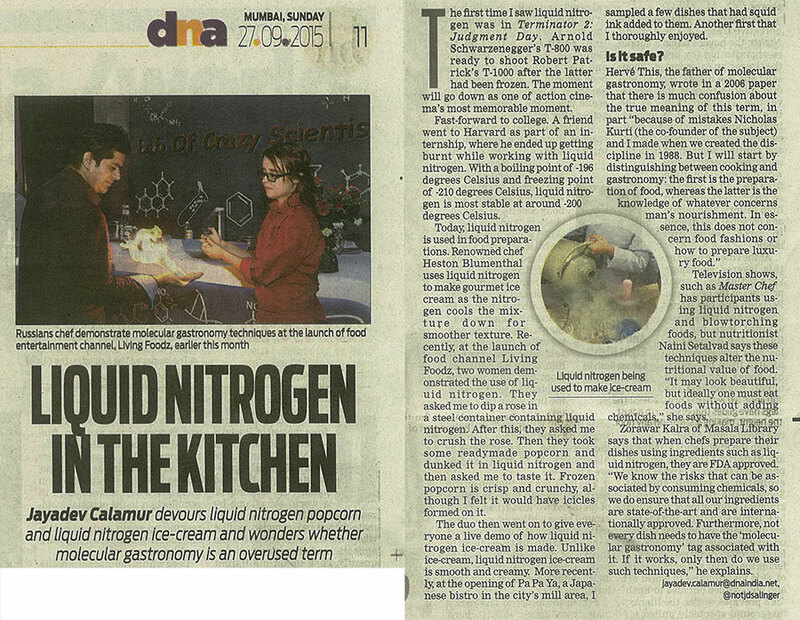 It is here where culinary skills meet the wizardry of modern day gastronomic techniques. 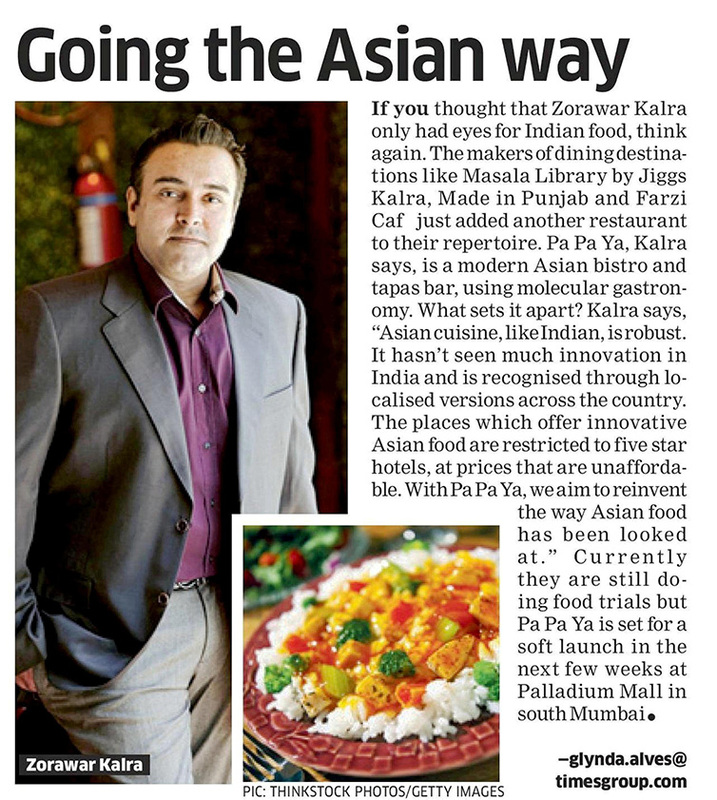 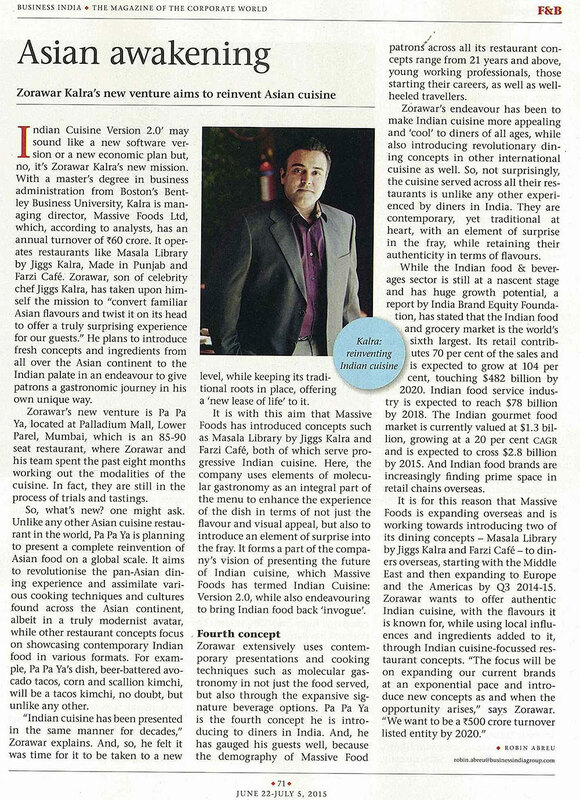 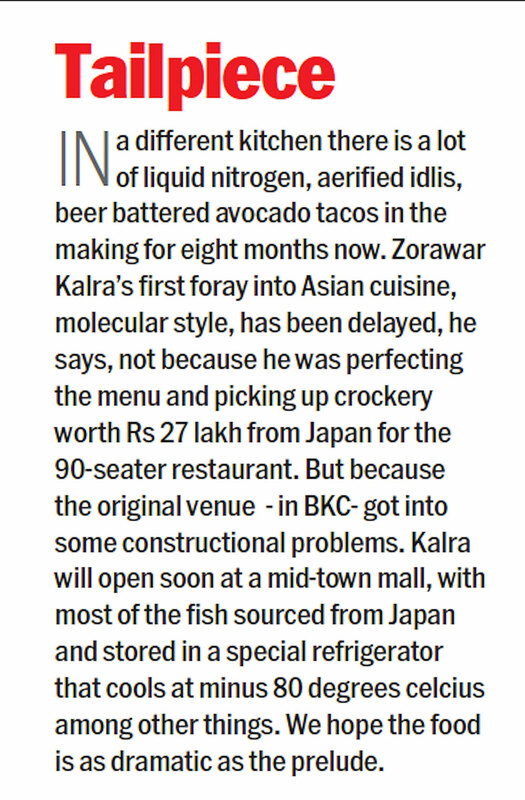 Regarded as ‘the Prince of Indian cuisine’, Zorawar Kalra, after the successful exit from his maiden venture credited with introducing one of the most awarded regional cuisine restaurant concepts in India, launched Massive Restaurants Pvt. 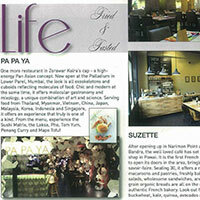 Ltd. in December 2012. 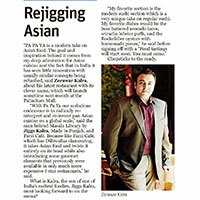 Massive Restaurants, spearheaded by Mr. Kalra and mentored by his illustrious father & Czar of Indian Cuisine - Jiggs Kalra, was established with an aim to develop India’s premier brands of restaurants that specialize in targeting all segments of the market, while showcasing the evolution of Indian cuisine and putting Indian food on the global palate permanently. 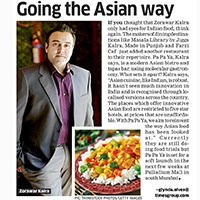 The Company currently operates under critically acclaimed, multi award winning brand verticals of premium Fine-Dining Restaurants with the signature Masala Library by Jiggs Kalra, the Smart-Casual Dining Restaurants with the brand Made in Punjab, the modern Indian bistro concept Farzi Café and modern pan-Asian bistro concept Pa Pa Ya, cuisine agnostic modern ‘freestyle’ bar & kitchen – KODE, high energy dining concept – MasalaBar, offering a cutting edge, post-modern & stylish bar, for an immersive dining experience; and unlimited grill and brewery concept – BBQ’D. 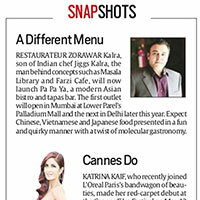 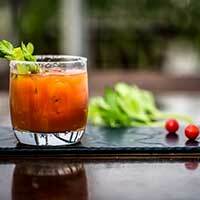 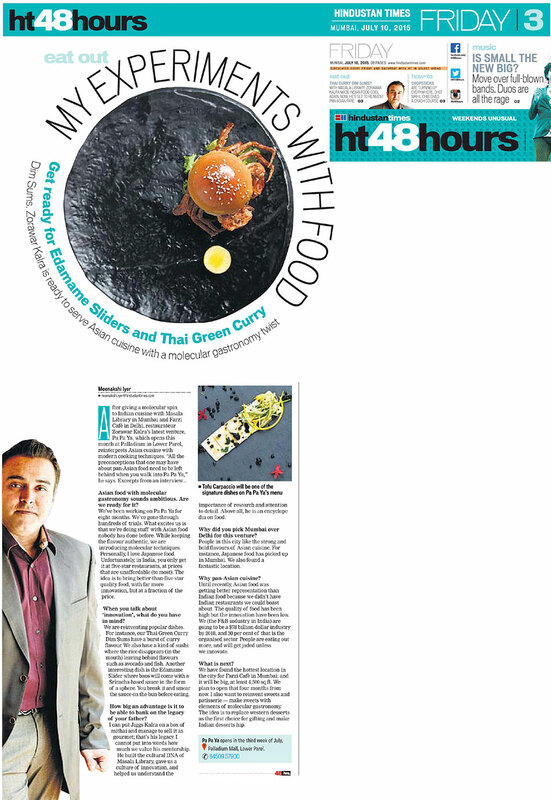 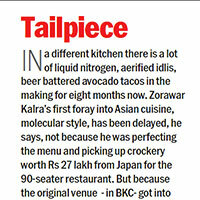 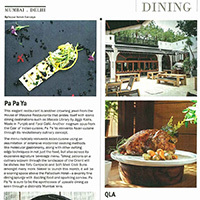 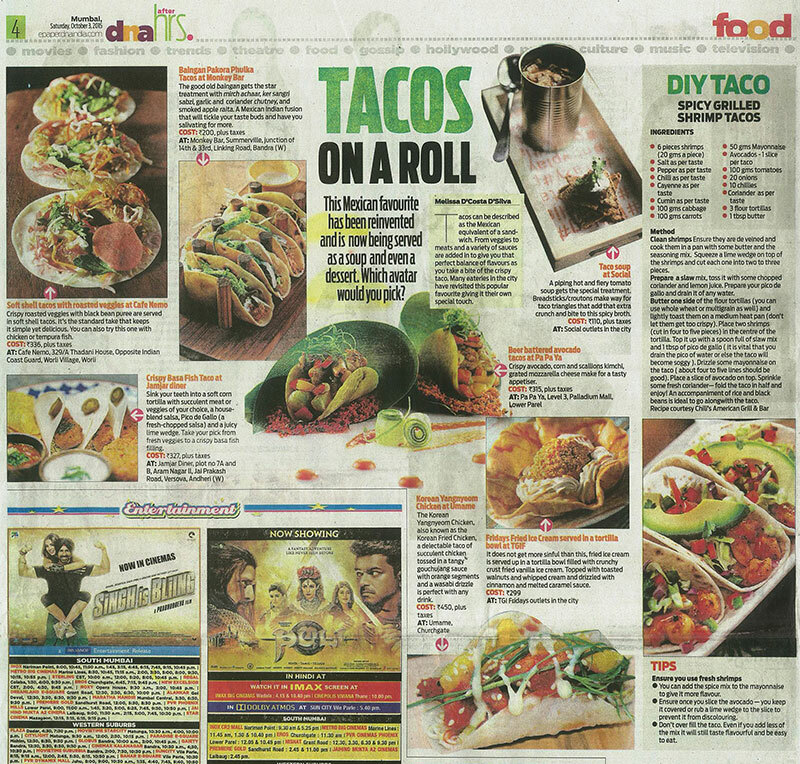 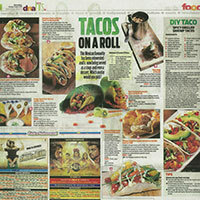 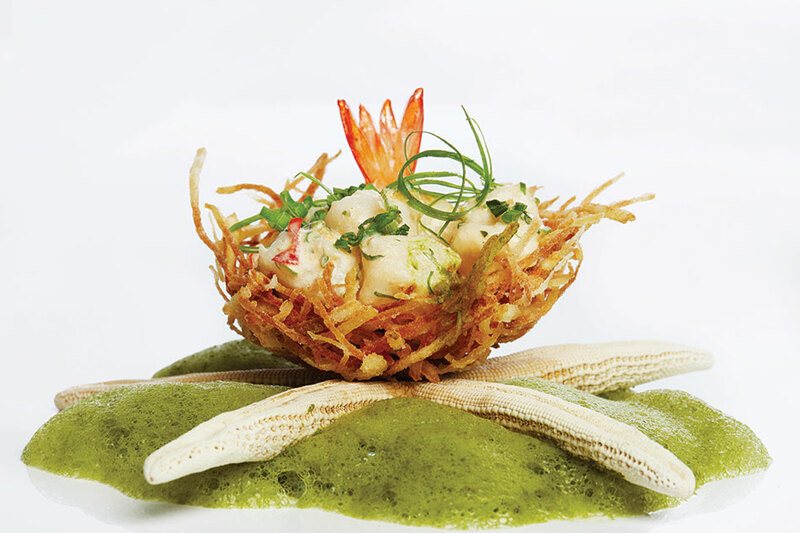 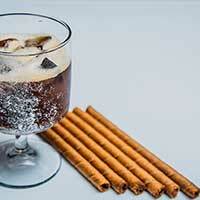 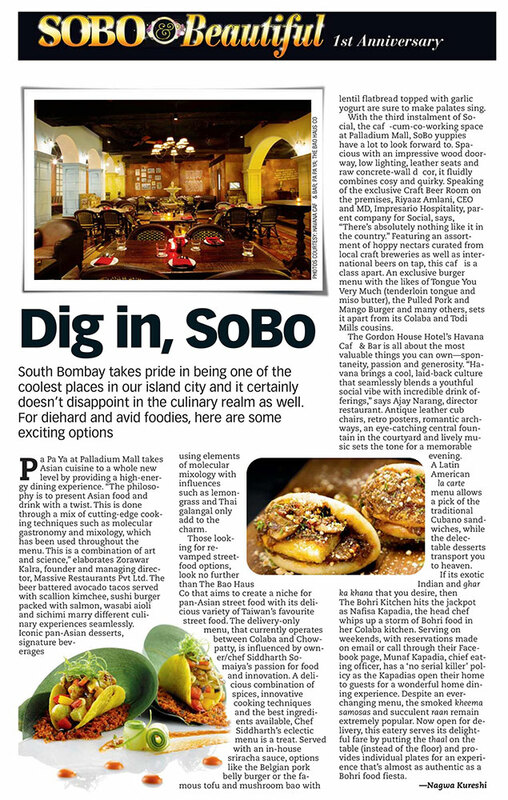 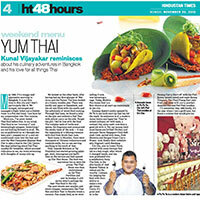 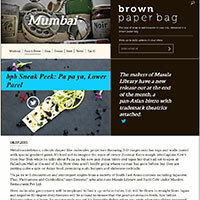 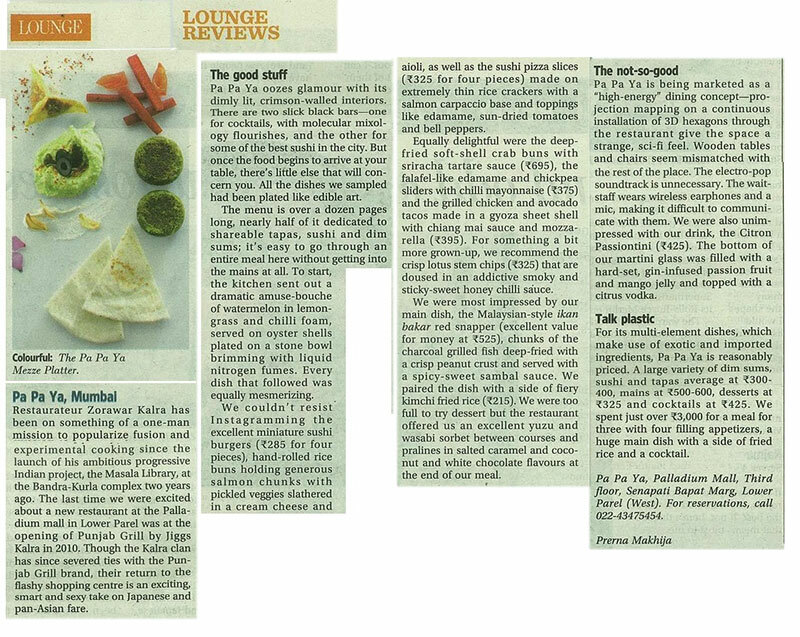 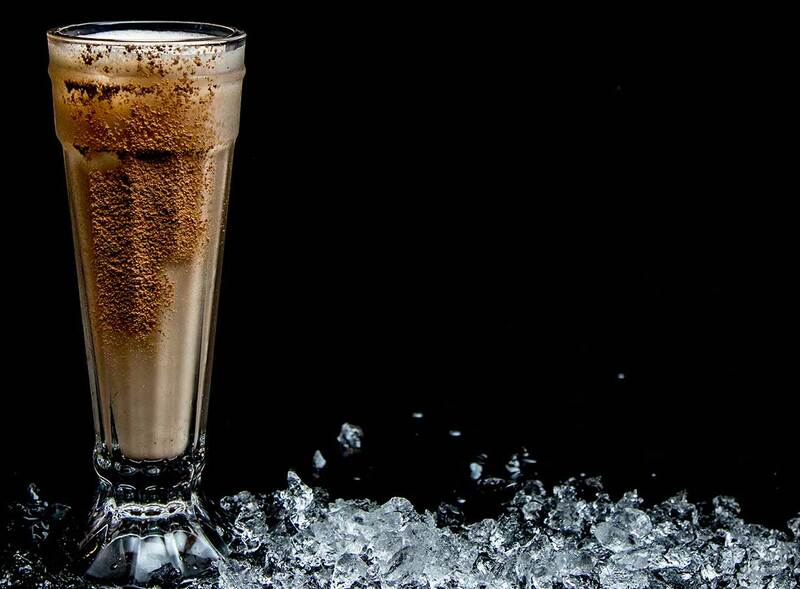 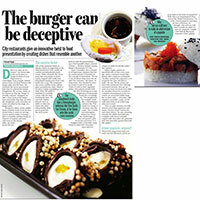 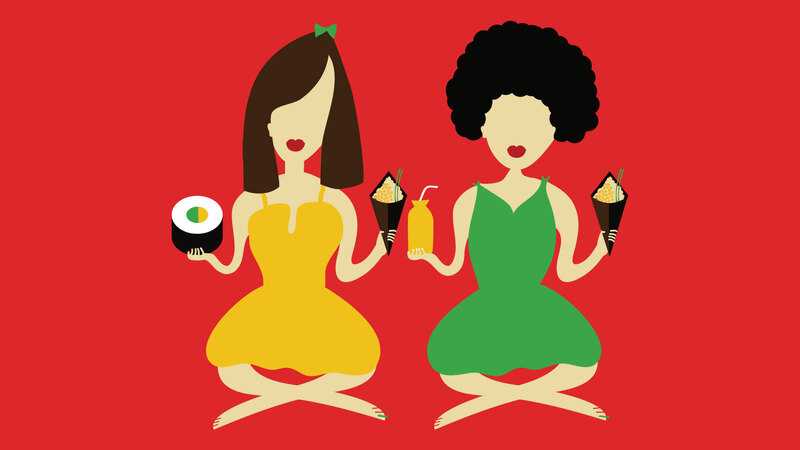 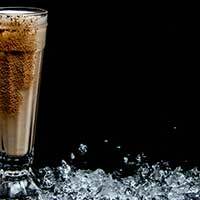 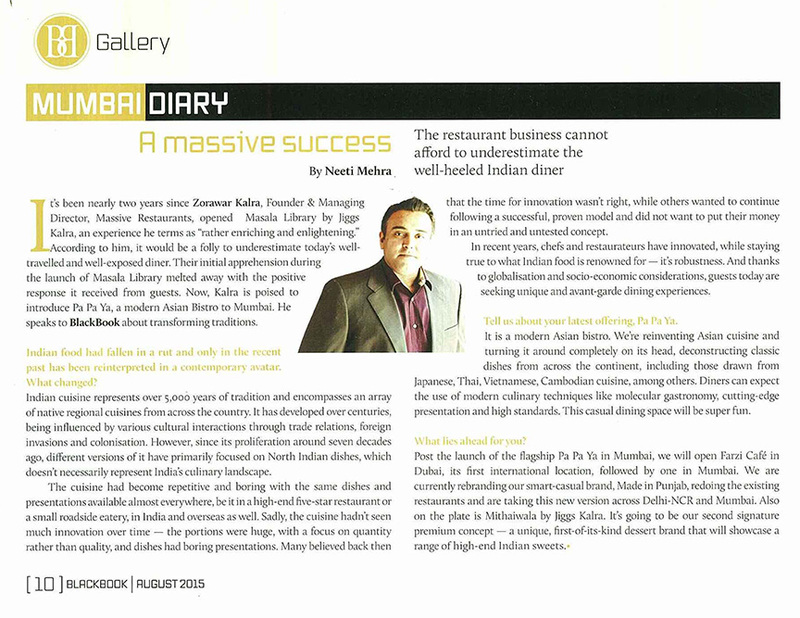 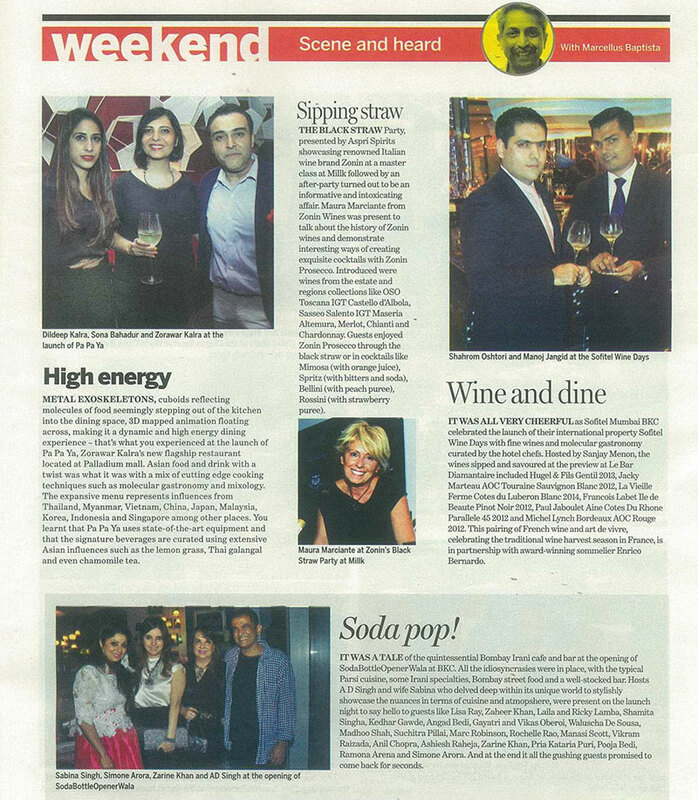 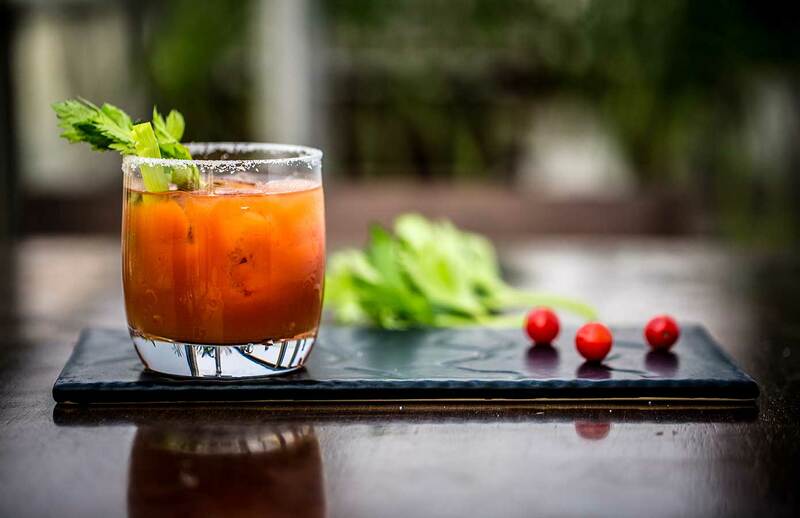 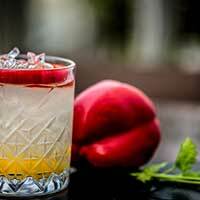 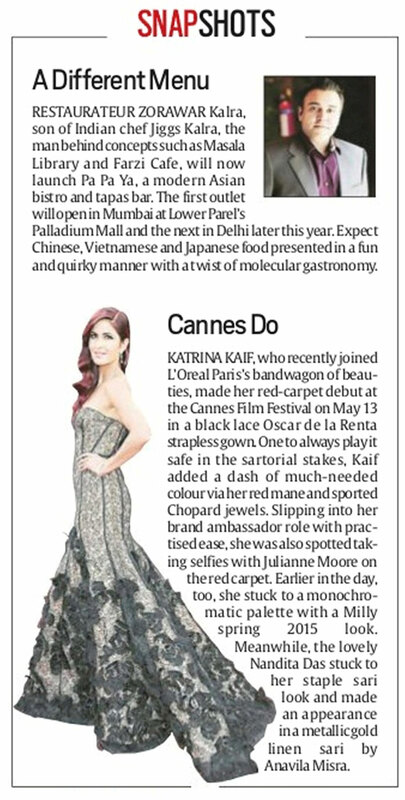 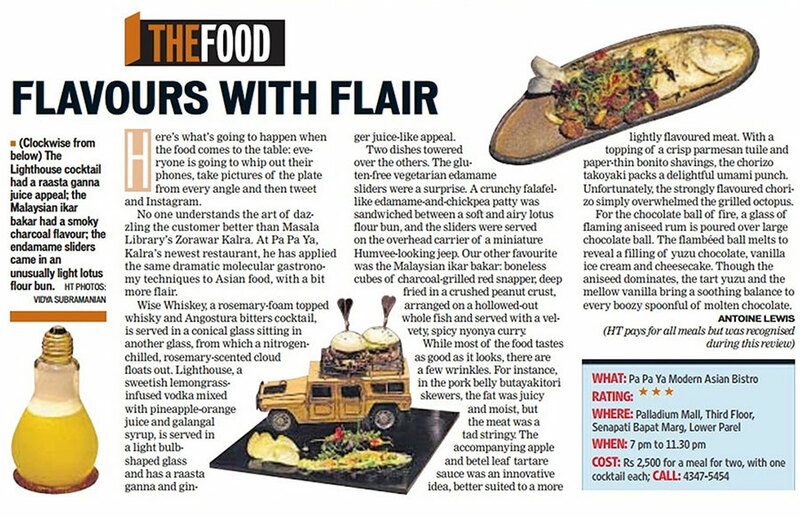 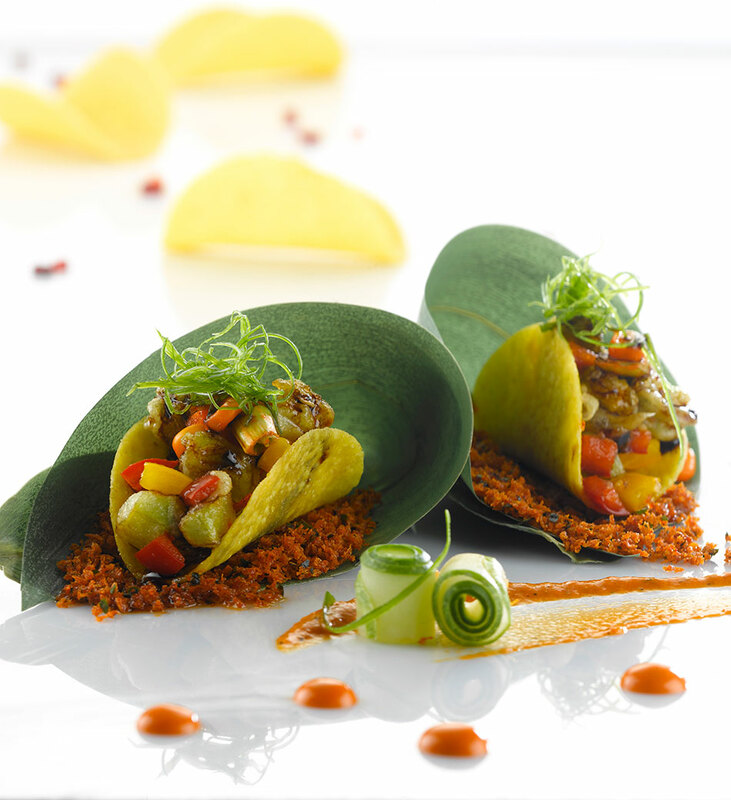 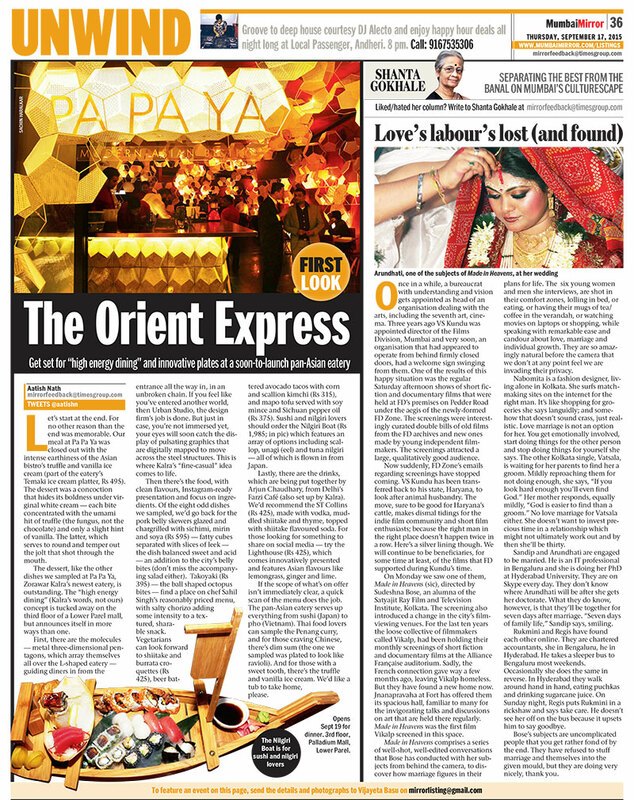 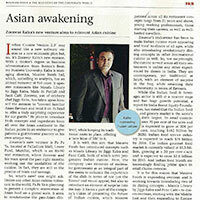 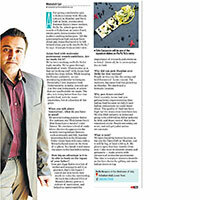 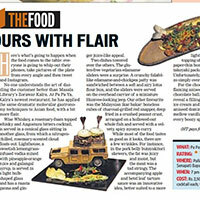 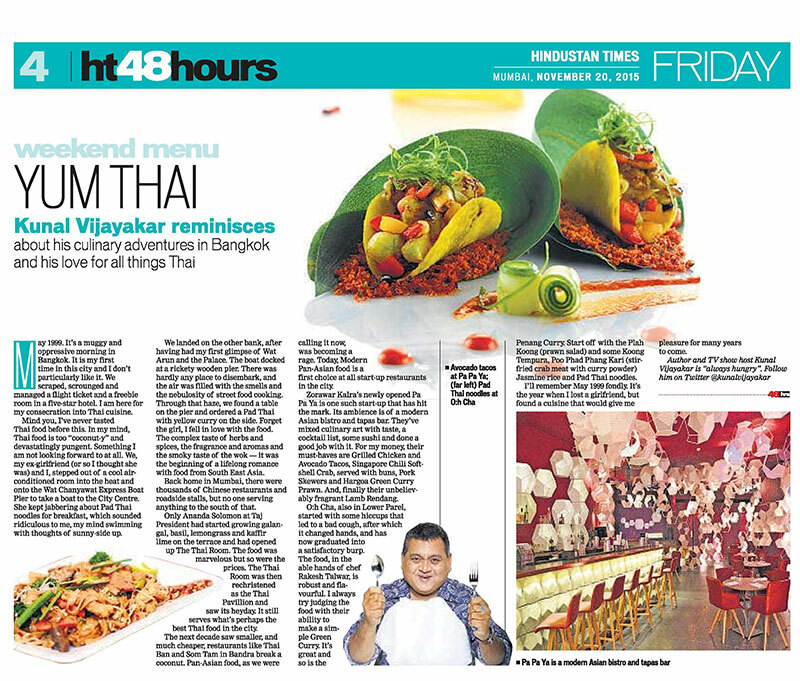 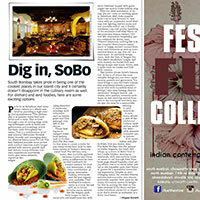 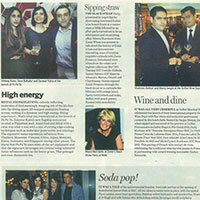 Massive Restaurants endeavours to revolutionarise Indian food & nightlife.